The lowest price of SJCAM SJ6 LEGEND Adjustable Viewing Angle 166 H 120 V 89 Sports & Action Camera ( Black ) is at Amazon where is it is for INR 9499. This price is INR 34165 lower than the other price for the product. The prices for the product change across variants. 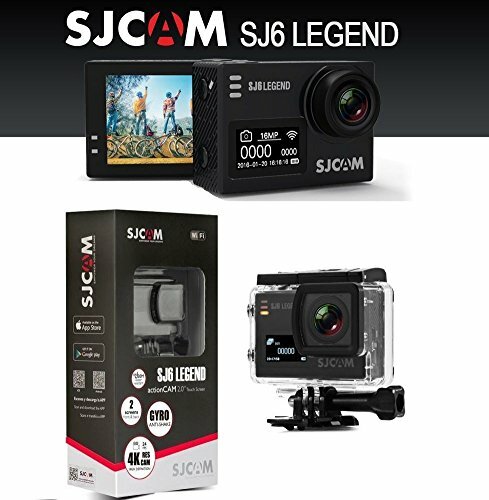 The price for SJCAM SJ6 LEGEND Adjustable Viewing Angle 166 H 120 V 89 Sports & Action Camera ( Black ) is valid across Bangalore, Hyderabad, Chennai, Mumbai, Delhi, Pune and Kolkata. The SJCAM SJ6 LEGEND Adjustable Viewing Angle 166 H 120 V 89 Sports & Action Camera ( Black ) is available at best price of INR 9499 on Amazon. The actual price of the product is 13400 Rs in India. The seller is selling at in much higher cost. Product is good.